A district-level committee in Dang district has rejected all individual forest rights claims pending before it since 2016 on the ground of insufficient evidence, the discontentment against which has reached a tipping point. Sounds of “Jai Adivasi” reverberated across Ahwa taluk in Dang, Gujarat, as over 5,000 people from the district gathered to celebrate Adivasi Diwas, or the 36th International Day of the World’s Indigenous People, on August 9, recognised by the UN to mark the day of the first meeting of the working group on indigenous populations. As an assertion of Adivasi identity, the gathered people sang songs of jungle zameen (forest land). Ironically, on the eve of this celebration, a district-level committee (DLC) constituted under the Scheduled Tribes and Other Traditional Forest Dwellers (Recognition of Forest Rights) Act, 2006 (FRA), had rejected all individual forest rights claims of two villages in the district citing insufficient evidence in both cases. The object of the FRA is to “provide for a framework for recording the forest rights (of scheduled rribes and other traditional forest dwellers) so vested and the nature of evidence required for such recognition and vesting in respect of forest land.” The law also seeks to redress the historical injustice to forest-dwelling scheduled tribes and other traditional forest-dwellers during the colonial period. Rule 13 (1) of the Forest Rights Rules of 2012 lays down nine pieces of evidence required to be submitted, along with the individual forest rights claims, for the claim to be approved. “We had submitted affidavits of the statement of elders of our village along with copies of our ration cards and voter identity cards. During the hearing, they skimmed through our documents and said that we did not have sufficient proof because voter ID and ration card cannot be considered valid proof under the law,” said Somabhai Barde. “government authorised documents such as voter identity card, ration card, passport, house tax receipts and domicile certificates” to be valid proof. But despite the law, these claims were rejected. A sub-divisional level committee (SDLC) issued a standard order in 2016 rejecting pending individual forest rights claims en masse, stating only one piece of evidence had been submitted: statement of elders. 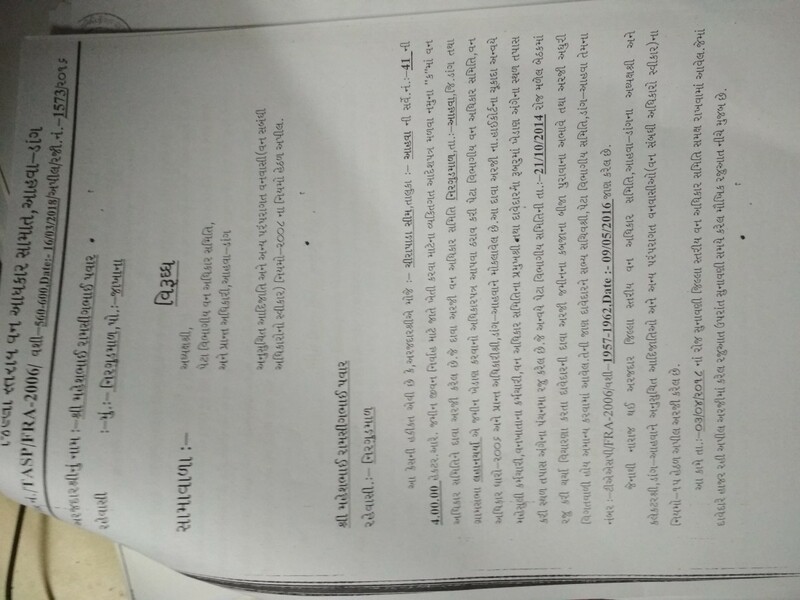 Twenty-eight claimants of Nirgundmal, whose claims had been heard following an order by the Gujarat high court in February 2018 and rejected due to lack of evidence, have been served an eviction notice. This was reiterated by a Gujarat high court judgment delivered in 2013. 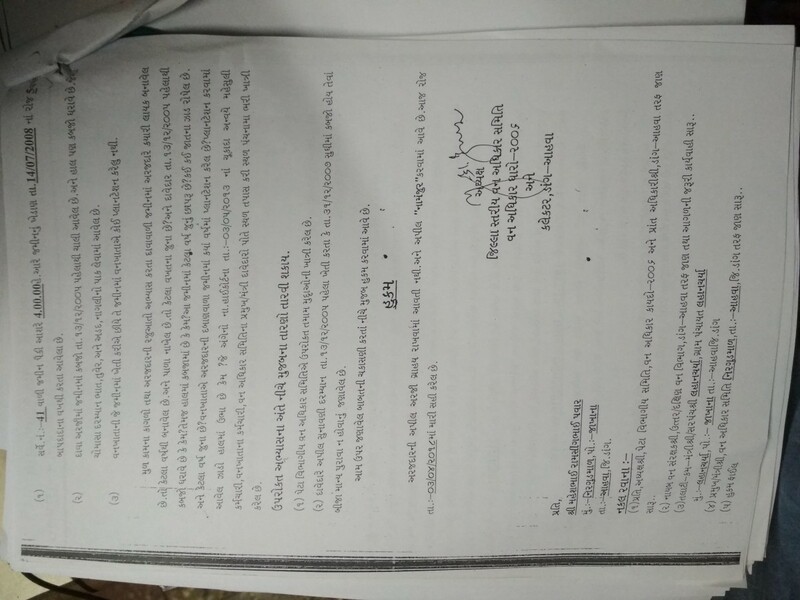 Despite the law being clear on this point, claims are being rejected by the DLC (see here and here) citing this ground in clear violation of the Act. Currently, the DLC is hearing all individual forest rights claims pending before it since 2016, rejecting all claims on the same ground, and issuing eviction notices to all such claimants. The simmering discontentment among the people has now reached a tipping point. 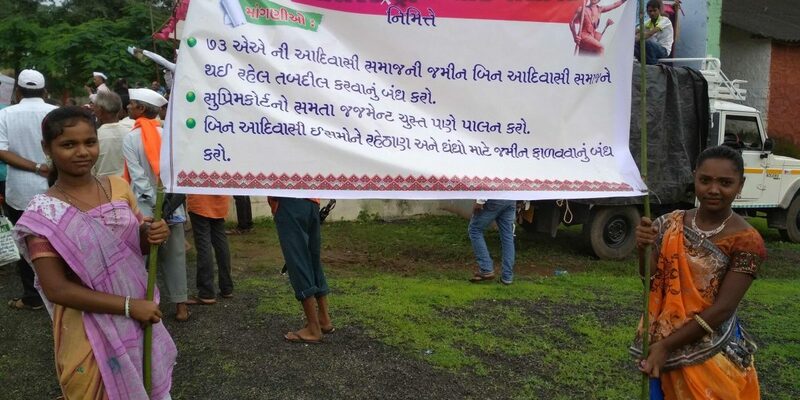 The Adivasis of Dang, who make up 98% of the population across 311 villages, gathered in full force, rallying to the district headquarters of Ahwa carrying posters of “Nadi ne vahva do, nadi kinare rehva do” (;let the river continue to flow, let us live by the river’). Women dressed in the traditional Dangi sarees sang songs of ‘Jaga ho jaga adivasi jaga’ to tunes of the pavri as they marched along the streets of Ahwa to reiterate their rights over the forest and other natural resources and to assert their constitutionally backed rights and autonomy to govern themselves. The Bhil, Konkana (Kunvi) and Varli comprise the three main tribal groups in Dang. There are other ethnic tribes identified as particularly vulnerable tribal groups (PVTGS) also residing in the district: Kotwalia, Kathodi and Kolcha. The FRA aims to strengthen the conservation regime of the forests while ensuring livelihood and food security of the forest-dwelling scheduled tribes and other traditional forest dwellers. However, with their rights not recognised under the FRA, and lack of other livelihood options due to scarcity of fertile land, water and forest, a majority of the population migrates following monsoon to other parts of Gujarat and Maharashtra. The threat of mass displacement also looms large on Dang given the proposed interstate Par-Tapi-Narmada link project spearheaded by the National Water Development Agency (NWDA). It involves the construction of three dams – Gira, Dabdar and Kelwan – in the district. Several members of the community spoke eloquently about the need for Adivasis to unite and exercise rights guaranteed to them under Schedule V of the Constitution. “The need of the hour is for Dangi women to assume leadership roles in matters of local governance, and not let their husbands act as their proxies despite being elected to leadership positions,” said Saluben Morish, the first Bhil woman in the district to complete a PhD, in an address to the gathering. 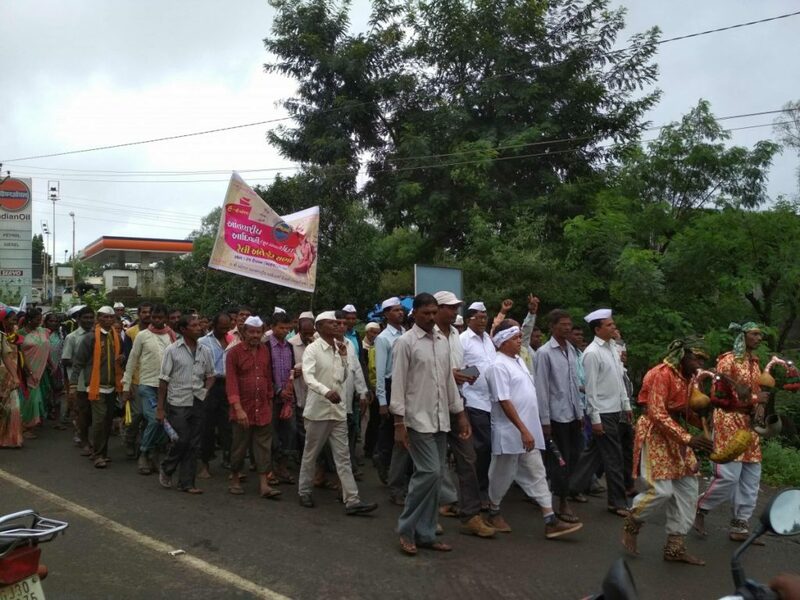 Amidst cries to struggle and safeguard their Adivasi identity, the crowd marched to the district collector’s office to register their protest with him about the FRA’s violation as well as the NWDA project. “We want to make it known [to the state] that we are not going to give up without a fight,” said Saruben Bagul. The author would like thank Ramesh Dhoom and Jayshree Deshmukh for their contributions. Nikita Sonavane is a research fellow at the Centre for Social Justice, Ahmedabad. He work revolves around the Forest Rights Act and the Panchayats (Extension to Scheduled Areas) Act in the Scheduled Areas of Gujarat.